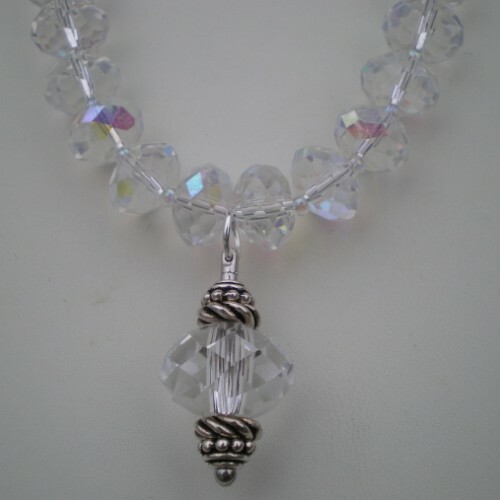 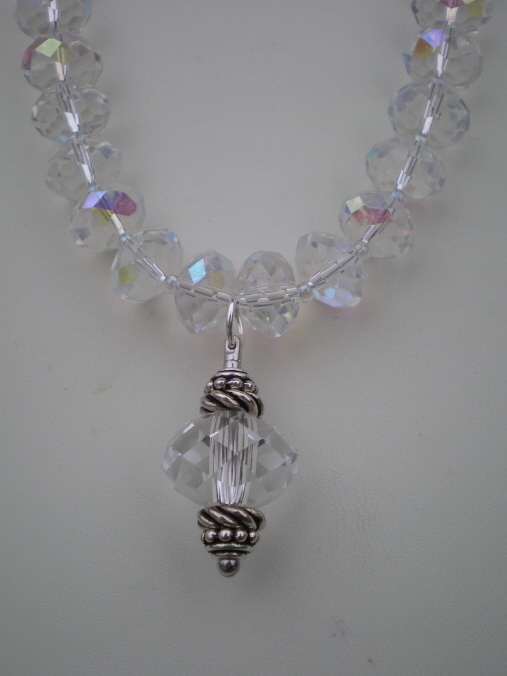 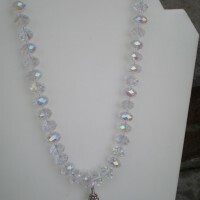 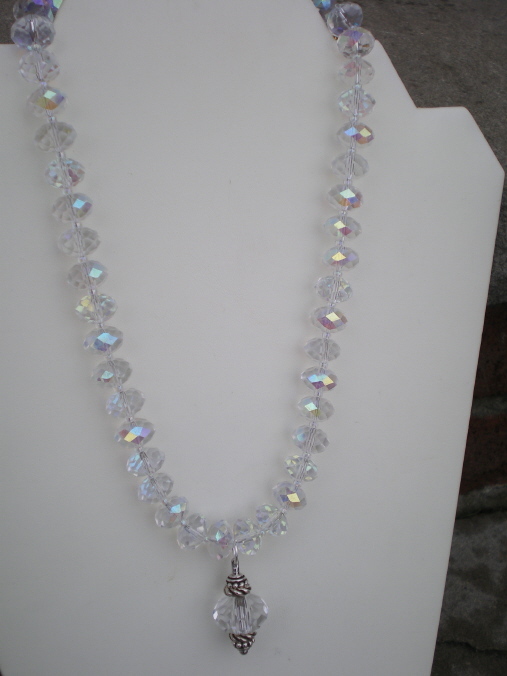 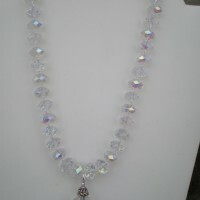 18″ long necklace, crystal rondelles with seed beads in between, swarovski crystal rondelle pendant with silver spacers. 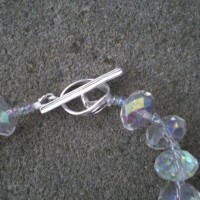 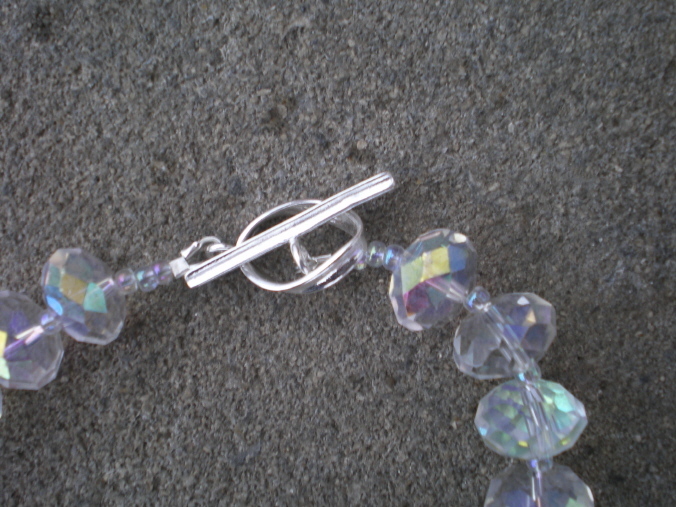 Sterling silver wavy toggle clasp. 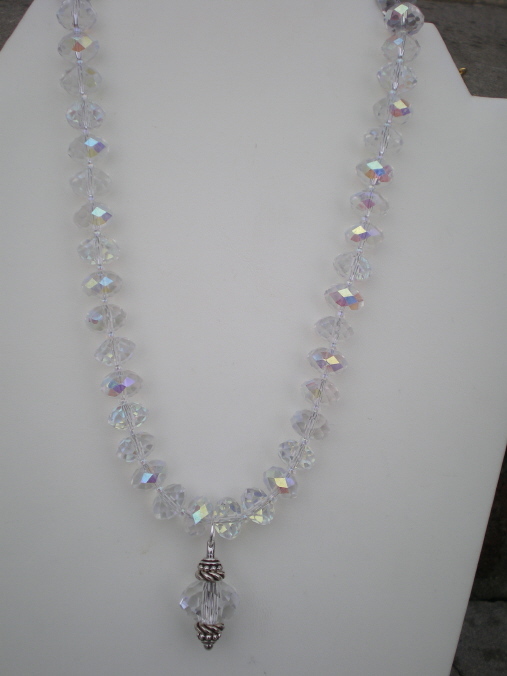 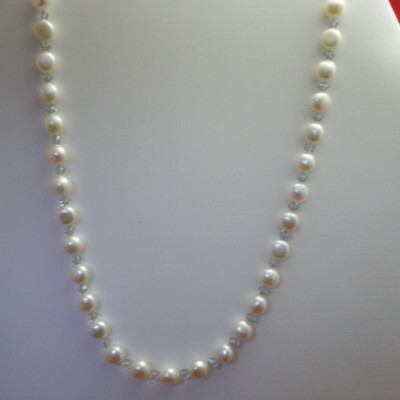 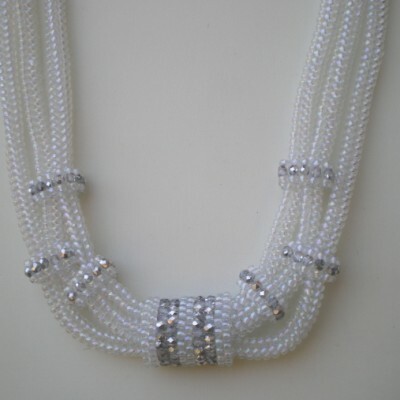 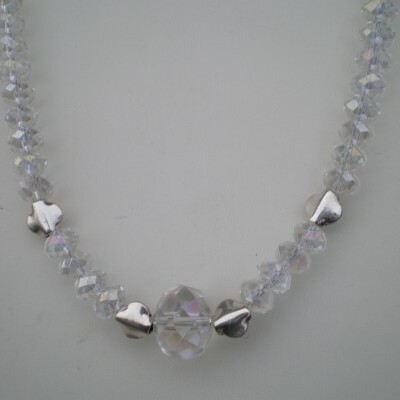 Be the first to review “18″ Necklace, crystal rondelles with seed beads” Click here to cancel reply.